The League of NH Craftsmen’s appealing headquarters on Concord’s Main Street is an intimate and inspiring meeting space for your next event. Centrally located in the heart of New Hampshire, the League offers flexible spaces perfect for business meetings, corporate and creative retreats and social gatherings. Our bright and welcoming multi-purpose room can accommodate up to 50 people for trainings, meetings, workshops and conferences and is conveniently equipped with reliable Wi-Fi, a screen and projector, and tables and chairs that can be arranged in a number of configurations. With the divider in place, two smaller workshops or events can be held simultaneously. Or hold your next donor reception or appreciation event in our beautiful gallery where guests can view the current exhibition while they mingle. A number of nearby restaurants provide excellent catering options, and free on-street parking and reduced rate all day parking in a nearby parking garage add to the convenience of holding your event at League headquarters. And our Main Street location in beautiful downtown Concord offers many dining and shopping options for your attendees before and after events. 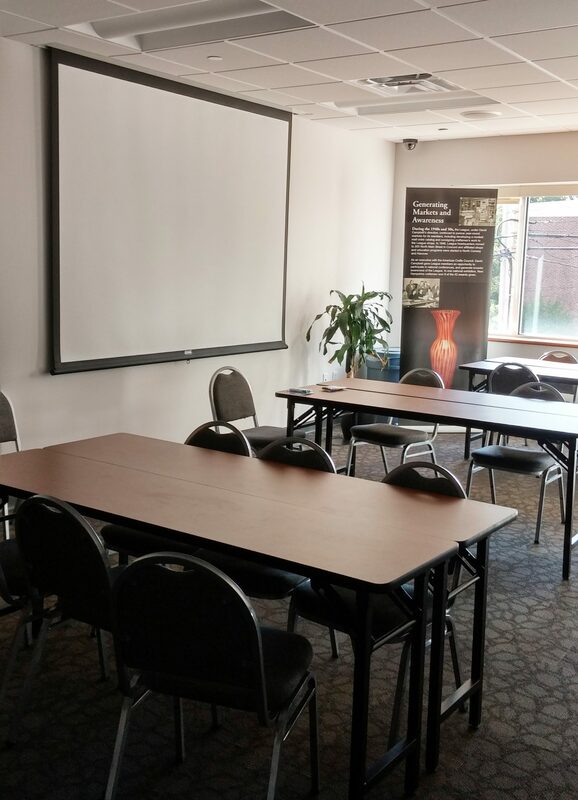 For additional information on our meeting room rental amenities and cost, please email us at info@nhcrafts.org or call (603) 224-3375 x101 with the type of event, number of participants and date and time.